Western Mountaineering is an outdoors company that creates products such as sleeping bags, jackets, and pants that will help make your next nature excursion a more enjoyable and comfortable one. With Big Apple Buddy’s personal shopping service, you can now buy direct from the Western Mountaineering online store anytime, anywhere. Western Mountaineering is most known for their sleeping bags, which come in a variety of styles depending on what kind of camping you’ll be doing. 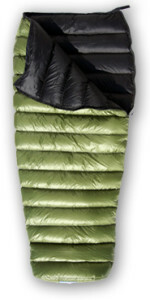 Some of their sleeping bags are designed to withstand freezing weather, while others are more suited for summertime use. The MityLite Sleeping Bag is perfect for the summer camping trip, and is incredibly lightweight so it is easy to carry and pack. This bag can be folded away into practically nothing, so it takes up hardly any room in your backpack or wherever you choose to store it. Open up the MityLite and it can also act as a lightweight comforter! Western Mountaineering also has other gear that will make your outdoor stays a bit more comfortable. 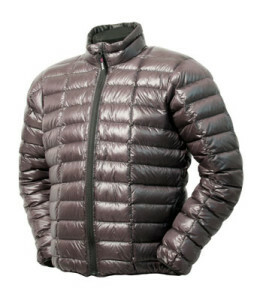 The QuickFlash Jacket is lightweight but provides just enough warmth for your latest outdoor excursion. Like the MityLite, it is highly compressible, which makes it remarkably easy to store and pack away. This jacket is available for both men and women and comes in a variety of colors, so choose your favorite! Complete the look with Western Mountaineering’s Flight Pants. These pants are made for more challenging weather conditions and are both windproof and waterproof. Like the other products, the pants can are compressible and can be folded so that they take up hardly any space in your backpack. 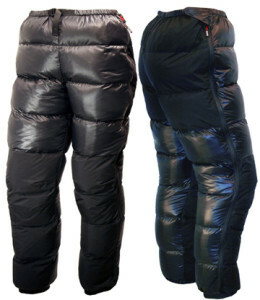 These are perfect for those colder outdoor treks! Unfortunately, the USA Western Mountaineering online store only offers international shipping to select countries. However, Big Apple Buddy, your personal shopper, can help you buy products direct from the official USA Western Mountaineering online store and ship them to your doorstep, no matter where you are in the world. If you would like to buy from the USA Western Mountaineering online store, simply let us know which items you would like to order (by filling out the form below) and we’ll get back to you with a free international shipping quote within 24 hours!